At my previous post HERE, I had send my Little Angels to one and a half day course on Kids Public Speaking at Johan Speaking Academy. I felt touched and proud of them as they talked confidently in front of approximately 50 audiences. CW had change a lot too after her Sept course last year. She won consolation prizes in Story Telling in her school. She was so happy showing me the trophy and said that without attending the Kids Public Speaking, she won't have any courage to speak out in public. Attended the course had help her to speak confidently in front of her teachers and friends and eventually she won the prize. She had improve a lot in her academic studies also. Besides the new tuition centre that had a great educator who cares for his students, Kids Public Speaking also helps her a lot in her studies in memorise all the subjects. She got award for the most improvement in academic at her class. Bravo to my Little Girl. For this year achievement, she was appointed as the Class Monitor because of her courage to speak out that teachers of her school felt that she is the right person to monitor the class. Teacher also ask her to become the small teacher to guide her friends who are quite weak in their studies. So, if you want your children to be like my Little Angel, then you might want to enrol them in Kids Public Speaking to build their self confidence, self esteem, improves verbal communication skills, vocabulary, comprehension, information procession, organise their thoughts, promotes interpersonal skills and gives your child a sense of empowerment. Johan, the founder of Johan Speaking Academy, is last year Peninsular Malaysia Public Speaking Champion (Toastmasters International). He is also the Semi-Finalist World Championship of Public Speaking at Las Vegas. Johan is the guest speaker for Maxis in their nationwide SME Roadshows, speaking at Ipoh, Johor, Kuching, Kota Kinabalu & Penang to more than 1500 participants. 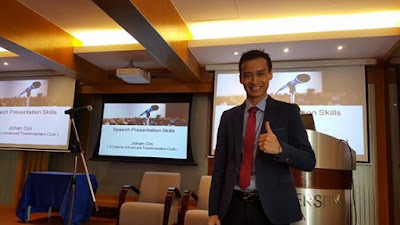 He has also spoken on stage for companies such as P1, Malaysia Association of Hotels, PIKOM, Royale Bintang Hotels, Exabytes, GTI Media, Digital Marketing Expo, BRANDS seminar, SME Accelerator Program and many more. Together with Johan, Cherry helps out to train in English, Mandarin and Bahasa Malaysia for Kids Public Speaking program. She is the brainchild of Kids Public Speaking program and had trained more than 600 kids to speak on stage. Every parent wants the best for our child. If you know your child is a very shy person, you can try take up this short course of one and a half day workshop on upcoming June's school holidays. This is a REAL-LIFE experience for them because communication skills and public speaking skills are very important for their personal development as well as a great toll for them to advance in their career. The 10 weeks student will have the opportunity to speak at a a shopping mall. The program is for kids age 7-12 years old. 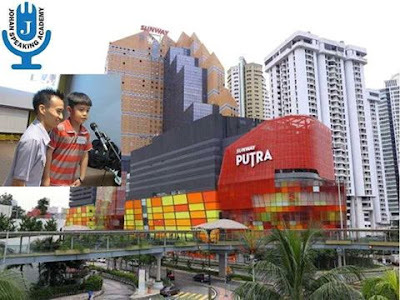 It is a golden opportunity as they will collaborate with a mall, just for your kids. The price for 10 weeks course is at RM1,380.00 (Early Bird price at RM1,200.00). Their course will held on Friday from 7.30pm to 9.30pm at Idiscovery Setia Alam, Saturday 9.30am to 11.30am at TTDI, 1.30pm-3.30pm at TTDI, 5pm to 7pm at Citta Mall Idiscovery, Sunday 9.30am to 11.30am at TTDI, 1.30pm to 3.30pm at TTDI. The 8 weeks teens speaking program price at RM1,800.00 (Early Bird price at RM1,600.00) will be on every Sunday from 4pm to 6pm. 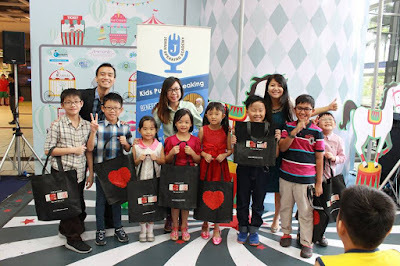 Check out their website at http://www.kidspublicspeaking.com/ or like them in their Facebook at https://www.facebook.com/KidsPublicSpeaking/ for any updates on their course. Thanks to Johan Speaking Academy for training my Little Angels to be more confident and able to mix up with other children easily. Even though it is just a short course but the results was really amaze me and I'm so happy with it. My Little Angels relationship with each other had improved a lot and same with their attitude too. Looking forward for their 10 weeks course to let my Little Angels to feel the real life experience and I'm sure they will enjoy the entire course too. 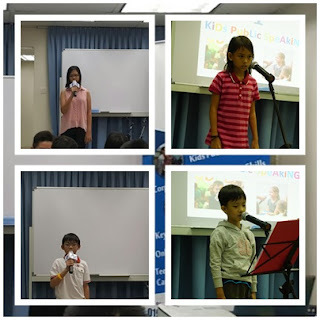 Public speaking skill is equally important to both kids and the grown-ups. Good job in preparing the kids early. Rawlins, preparing them young will helps them a lot during their growing-up period. This is really good exposure for them! Fatin, really good as after attending, they are more confident now. This is a such great activities for the kids during their school holiday. Should have more of these kind. Kelly, great times to spend especially during school holiday. Can learn something new. Mandy, you're most welcome. Hope your niece will be successful too after attending the course. Shivani, it is indeed fun and a good experience to equip them in future. So nice activities for your kids. I time sekolah dulu I banyak juga join public speaking. From here Baru ramai speech of freedom dapat dilaksanakan. Syafiera, bagus juga you join masa kecil. I just learned it after my college life. Thats why a bit shy. Miera, you should send your daughter there coz' it helps her out in academic also. What a great mother you are to allow them this opportunity to improve. Public speaking is a great lifelong skill that one could have. Emily, thanks for the compliments. I trying my very best to help them up in their growing period. Rane, you should so that your girls will succeed in their academy and have more confident in everything that they do. Great milestone for your kids! Congrats on the crash course, im sure they are much more confident in presenting right now. loving your posts. totally amazing. Total kids thing.